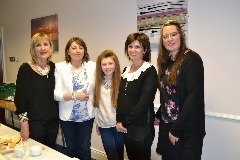 armaghpriest - More great people with great stories in Cookstown! 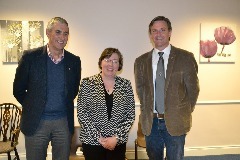 More great people with great stories in Cookstown! 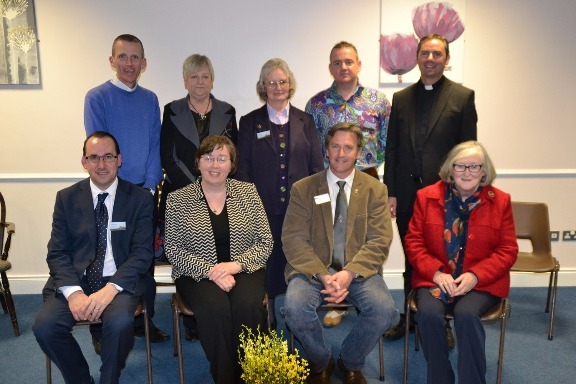 On Wednesday 29th April, Cookstown Parish Centre was the setting for the second special evening of “Great people, great stories, come and listen” organised by the Diocesan Vocations Team. The evening included two more great people sharing their personal “vocation” stories. The first speaker was Sister Fiona Galligan, a Sister of Mercy nun, who works as chaplain in Craigavon Area Hospital and the St John of God Hospice, Newry. She was followed by Deacon Kevin Duffy, a married man with two children, who was ordained to the permanent Diaconate for armagh Diocese in September 2014 and is currently ministering in the parish of Magherafelt. The evening began with a beautiful hymn by the folk group Sunlight, followed by prayer led by members of Armagh Diocesan Vocations Team. The remarkable testimonies were then delivered by the guest speakers. Sister Fiona began by highlighting the fact that the word “vocation” is so often viewed as a call to priesthood or religious life when in essence it is a call to everyone. She further reminded those present that our journey in life is part of God’s plan. “Hospitality to welcome God” which is the essence of her vocation began in the home and it was further consolidated in her school years in the teaching and the example of the Sisters of Mercy. She recalled that her journey to answering the call took her through university, a teaching career in inner city Limerick, and many years of personal discernment before entering the convent in August 1997. She clearly sees her founder, Catherine McCauley as her guiding light especially in her present role in chaplaincy. ​Deacon Kevin began by indicating that his vocation journey was far from straightforward but that like Sister Fiona it began in his home “where the value of prayer was instilled in me”. His first thoughts about vocation came at Sunday Devotions and when he was in Primary 5. He humorously took the audience through his teenage and university years in terms of living the typical life, however, he admitted that the draw to God was ever present and he oftentimes turned to prayer. He believes that he got where he is today through the support of the three great women in his life: Our Lady, his mother and his wife. To conclude Kevin very humbly stated “I know I am not perfect but through the falling downs of my life, I trusted in God who helped me to get up again and to go on” and he exhorted all present to do likewise in their own lives. He left the audience with the reflective reminder that part of the vocation of all of us is to encourage others to find and follow theirs. After some reflection and questions the evening concluded with prayer followed by refreshments. Once again everyone left feeling uplifted and very privileged to have heard such wonderful stories!